Integrated Packaging is one of five companies promoting a unique initiative to boost Australia’s $9 billion polymers industry. The Head of Division for Aus Industry, Ms Chris Butler formally launched a five-year extension of the Cooperative Research Centre for Polymers (CRC-P) supported by funding of $14.5 million from the CRC program. With further resources provided by its participants, the CRC will conduct over $60 million of research to assist Australian manufacturing. The initiative will bring science and industry together to develop products that meet emerging global needs in three areas - health therapies and delivery, water and food security, and low-cost solar energy - using enabling advanced polymer technology. The 23-member Polymer CRC comprises of five companies including Virbac Australia, BASF, BlueScope Steel, Mesoblast and Integrated Packaging as well as 11 universities, CSIRO and ANSTO. More than $9 billion worth of polymers and polymer-based products are used annually in almost all sectors of the Australian economy. The CRC-P has a strong track record of developing technologies for the plastics industry, including ceramifying polymer technology, first used in 2003 by Australia’s Olex Cables in a new range of fire performance cables. The CRC will help Australian manufacturers develop new products through clever chemistry and strong industry collaboration. The CRC also gives companies access to researchers such as the Prime Minister’s Prize for Science winners, chemists Ezio Rizzardo and David Solomon. CRC is focussing on developments that will provide Australians with products better suited to their needs. According to Ian Dagley, CEO of the Polymer CRC, the research initiative will build resilience into Australian manufacturing by improving sustainability and product innovation, increasing its international competitiveness with benefits including increased productivity, sales of Australian made products and high-skill high-value manufacturing jobs as well as reduced carbon dioxide emissions and 40 broadly trained polymer researchers. 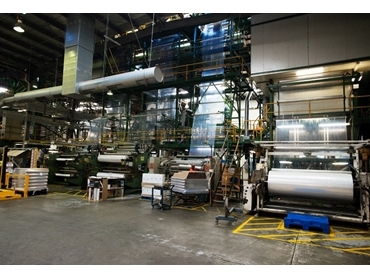 The launch was held at a Melbourne production site of Integrated Packaging, an Australian company and a market-leading manufacturer of plastic stretch films. Integrated Packaging’s previous research with the CRC has resulted in improved technology to control the degradation of plastic films in the environment. One use of this technology being evaluated by Integrated Packaging in collaboration with Greening Australia and the Birchip Cropping Group is the mechanical application of degradable film over the seeds of native trees at the time of planting. The film provides a temporary greenhouse that allows early planting, assists germination, improves water use efficiency and reduces pest damage. As the trees begin to grow the film breaks down. With continuing trials showing encouraging results, this low cost, high value technology has the potential to allow the re-establishment of wildlife rich woodlands in challenging semi-arid and degraded lands.